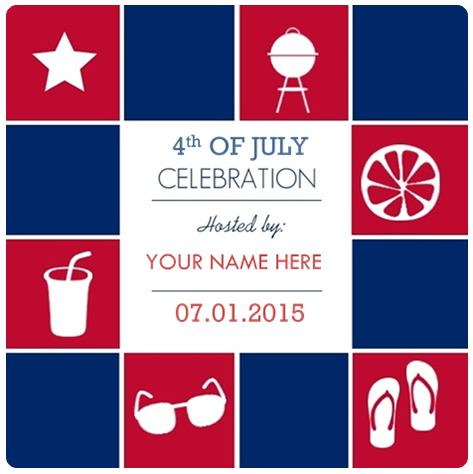 Get guests in the mood with this chic but patriotic invite in the red, white and blue shades of summer! We love these gorgeous table settings and floral centerpieces from fashionablehostess and Sag Harbor Florist. 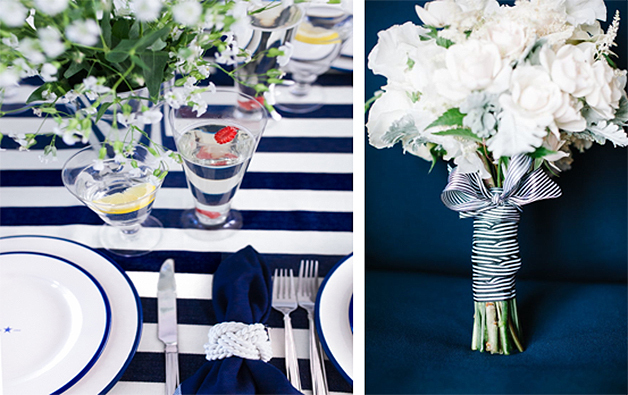 The white roses and hydrangeas, tied with an elegant, striped blue and white ribbon bring a refined look to the table. 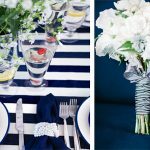 The white rope napkin rings really pop against the navy napkins and blue and white striped tablecloth. No party is complete without cocktails! We love combining the concept of dessert and cocktails in these Red, White and Boozy Popsicles. 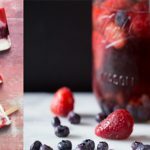 Just add sweetened blueberry puree, freeze for 2 hours, add crema di limoncello (you can always substitute vodka with condensed milk instead), freeze for 2 hours and then add sweetened raspberry puree. Freeze until set and enjoy. Pro Tip: We like to add frozen blueberries and raspberries for freshness and texture. For a simpler and lighter cocktail, try the Red, White and Booze Sangria. Add blueberries, strawberries and watermelon to rosé and chill. Voila! Red, white and blue sangria! 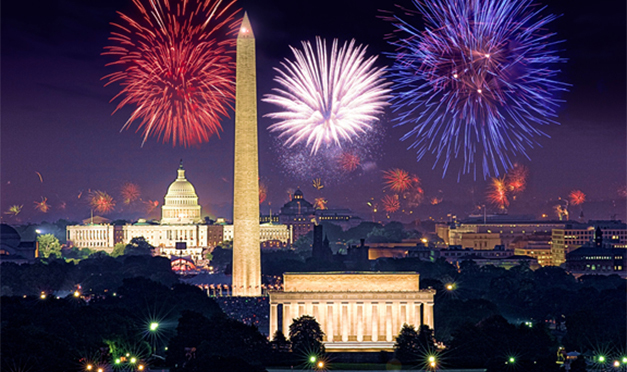 Serve in mason jars with striped straws for an extra patriotic feel.